Investigators who were tasked with providing evidence surrounding the incident verified that human error was the cause of the accident. Operators failed to communicate properly during operations. The explosion stemmed from a volatile mixture of hydrogen and air. OSHA released a memo, under Region 4 News Release: 13-1937-ATL (259), highlighting the violations observed by investigators. A total of 17 citations were raised, which amounted to $119,000 in proposed penalties. Why Do Transformer Fires Happen? Transformer fires occur when abnormal conditions are present. 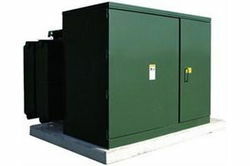 For electric transformers that rely on oil for cooling, the presence of a high-energy arc (during an internal fault) can set off explosive gases, if left unaddressed. This causes oil to vaporize, causing massive amounts of pressure to build up inside the unit. As pressure accelerates, the transformer becomes overwhelmed, resulting in an explosion. Lightning strikes can also cause transformers to explode – though such instances are considered to be rare. Moreover, outdated transformers may have faulty protective circuits, which could fail to turn off the unit, should voltage spikes or abnormal conditions occur. Note: Some of these techniques are designed to prevent transformer fires from spreading, in the event of an explosion. While other recommendations, such as the use of explosion proof equipment, help reduce the possibility of igniting flammable compounds present in the hazardous location.